Great for dinner, a snack or as appetizers!! The days and nights are getting colder and it’s pretty cool right now inside My Yellow Farmhouse, so I simply placed my leftover Pizza Bread Swirls in a zip-lock bag and left them on the counter. Those of you who, like me, sometimes eat pizza for breakfast will be happy to know these were still soft and delicious the next day. A new recipe often starts as a small nugget of an idea which percolates in your head until you think, “I’ve Got It.” Then, as people used to say, ‘The Proof is in the Pudding’ – meaning “What does the final product taste like”? It’s great pleasure when the final product tastes even more delicious than you had imagined! 1 1/2 to 1 1/3 lb. purchased pizza dough ++ “A Little Help from My Friends” ! 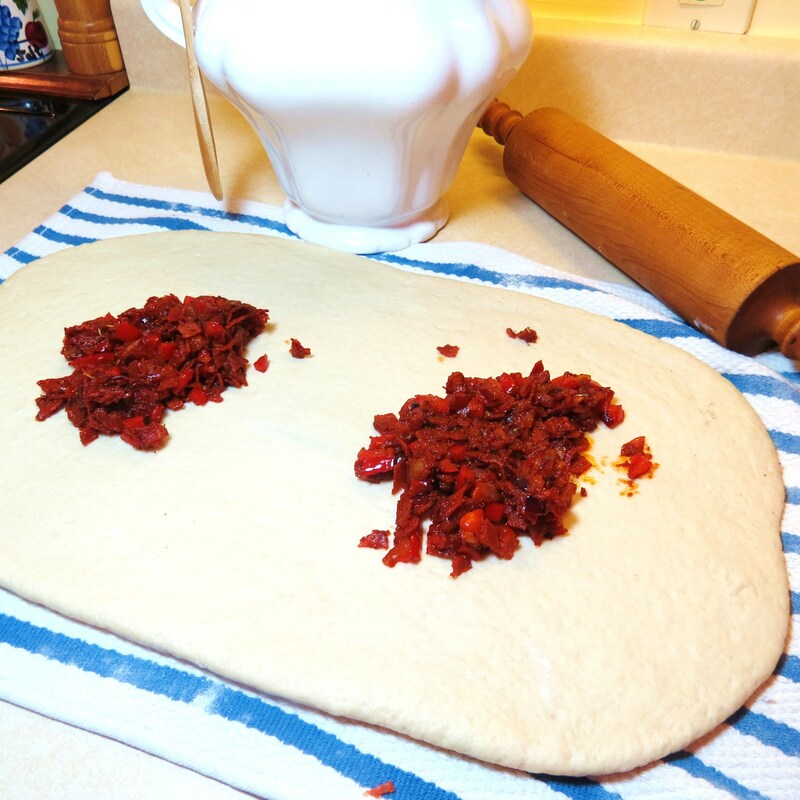 Remove pizza dough from packaging and place in a large bowl. Spread 1 Tbs. olive oil on top of dough. Flip dough over. Cover with a dish towel (tea towel) and allow dough to come to room temperature, about an hour or so if you have the time. 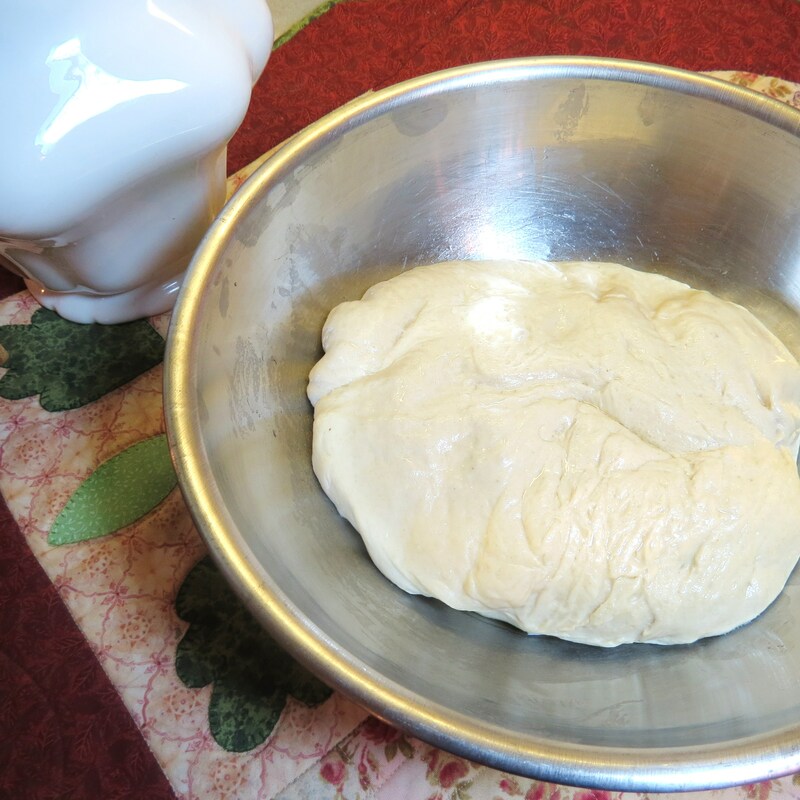 It’s much, much easier to roll out pizza dough when it’s more elastic and pliable. Meanwhile prepare filling; pour 1 Tbs. olive oil in a medium skillet. 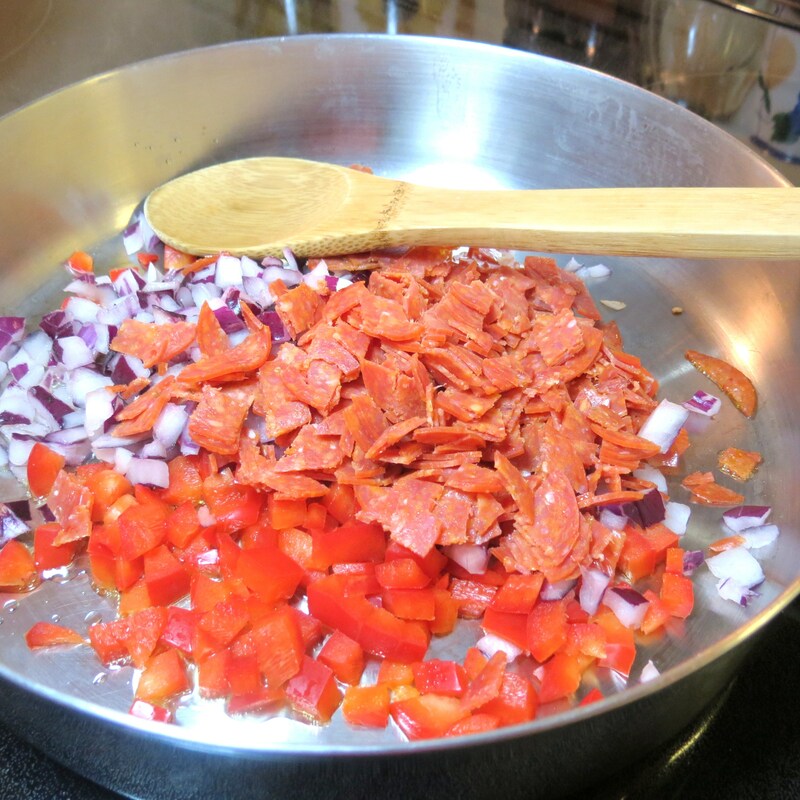 Add 1/2 cup chopped onion and 1/2 cup chopped red pepper. Cook, stirring often, until veggies are softened. Add 1/2 tsp. Italian seasonings, 4 Tbs. tomato paste with basil, garlic & oregano and 3/4 cup chopped pepperoni. Cook, stirring, for 4 – 5 minutes. Set aside. Sprinkle a bit of flour on a dish towel. ++ I like to spread the flour around with my hands so most of the surface is covered with flour – the dough sticks less! 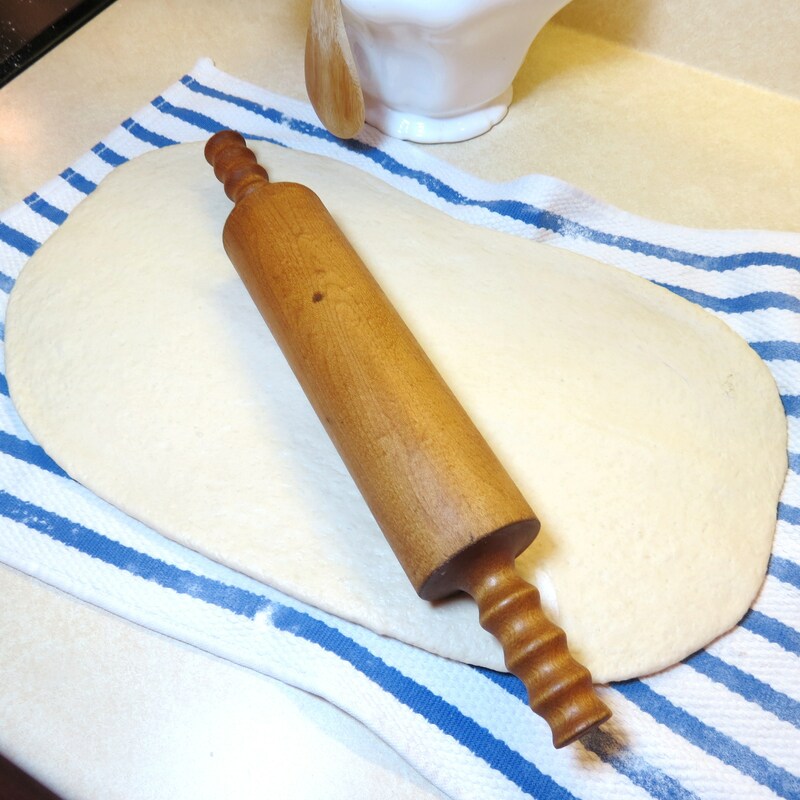 Roll out dough until you have a rectangle approximately 12″ wide by 14″ long. ++ I flip the dough over about half way through the rolling process so both sides are slightly covered in flour and the dough doesn’t stick to the dish cloth. 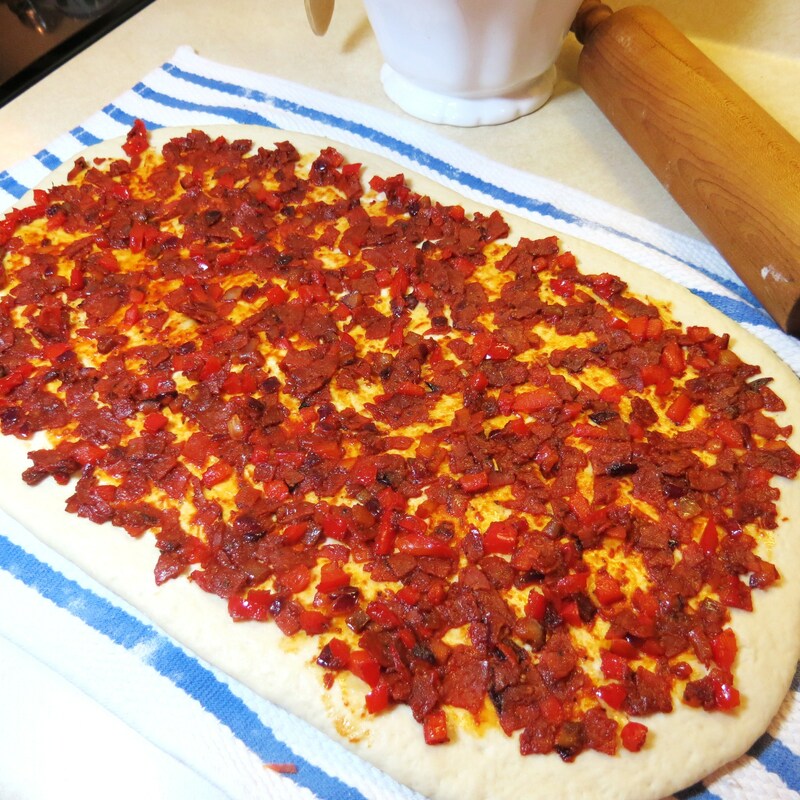 Divide onion/red pepper/pepperoni filling approximately in half – spread filling evenly over dough. 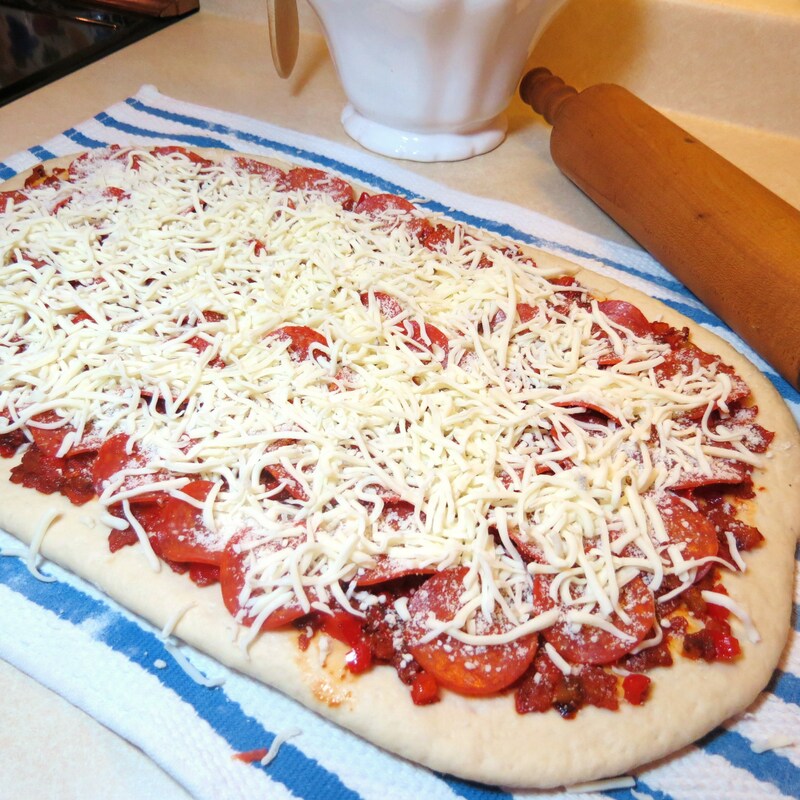 Place rest of pepperoni slices evenly over filling. Sprinkle with 3 Tbs. grated Parmesan cheese and entire (8 oz.) bag shredded Mozzarella cheese. 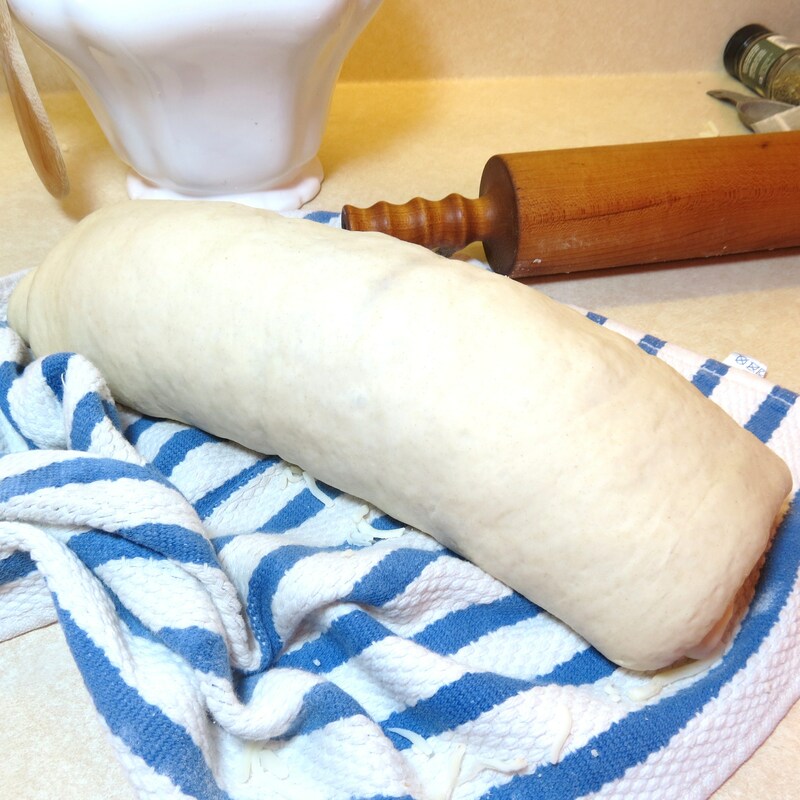 Beginning at one of the long ends of dough, roll dough towards opposite end. ++ The roll doesn’t have to be super tight… just tight enough to hold together when you cut it into sections. Using a spatula – or your hands (which I do) – place swirls on a large cookie sheet covered with parchment paper. Bake in at 375(F) for 30 – 35 minutes. ++ To check if the swirls are done, use a fork & lift up the middle of one. If looks cooked – they’re ready. Sprinkle with grated Parmesan cheese and some chopped fresh basil. ++ I highly recommend using some fresh basil – it really adds a whole other level of flavor Enjoy !! I am one of the culprits who eats pizza for breakfast, all the time. This one of yours looks so delicious I would the left-over, left-overs for lunch. Thanks for sharing!!! This is an awesome and kind of unique idea I’ve never seen before. Looks great! Hi Erika ! 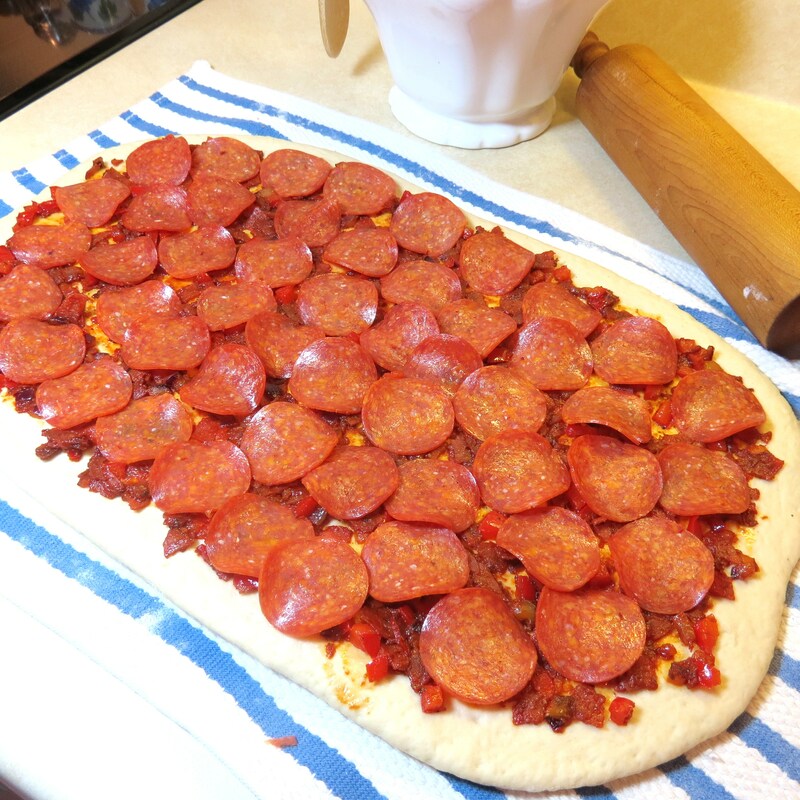 I was trying to think of a different way to make the typical pepperoni bread and I came up with this idea. My twin sons are grown now but I wish I’d had this idea when they were growing up. All kids love to eat things that they can just ‘grab and go’. 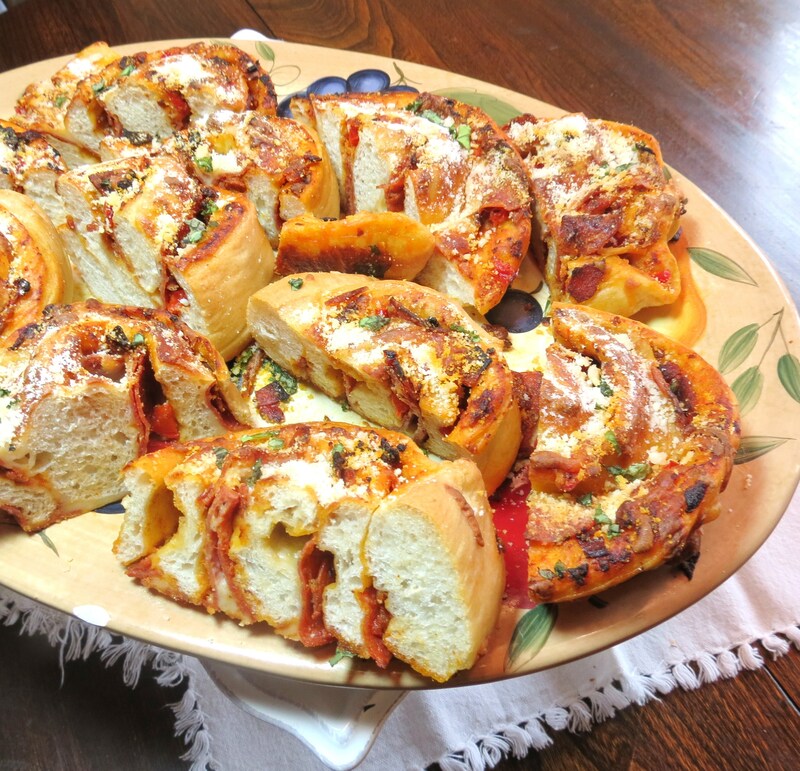 Your pizza bread would certainly be a hit when having a get together during the football season. I so agree Karen – the pizza swirls wouldn’t last very long!! And they could be make earlier in the day and served room temperature, which give the hostess time to watch the game!! Looks delicious and indeed excellent for entertaining. I figured most people have made – or eaten – pepperoni bread, so why not give it a ‘twist’, both literally and figuratively ??! 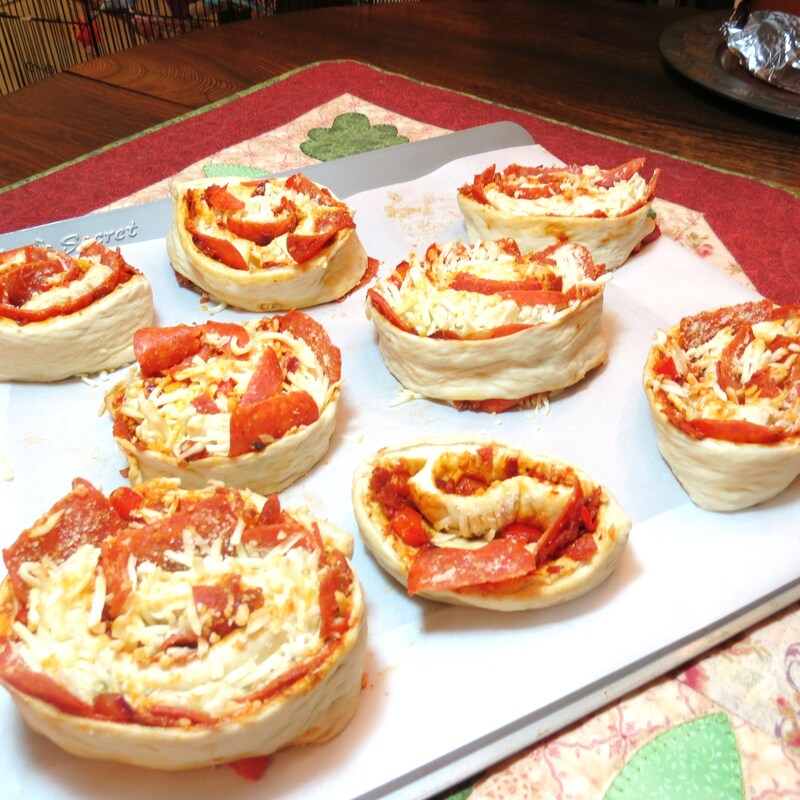 ; o ) The recipe calls for purchased pizza dough, so this is pretty quick and easy to make!! I can’t wait to make this with both sets of my grandchildren!! 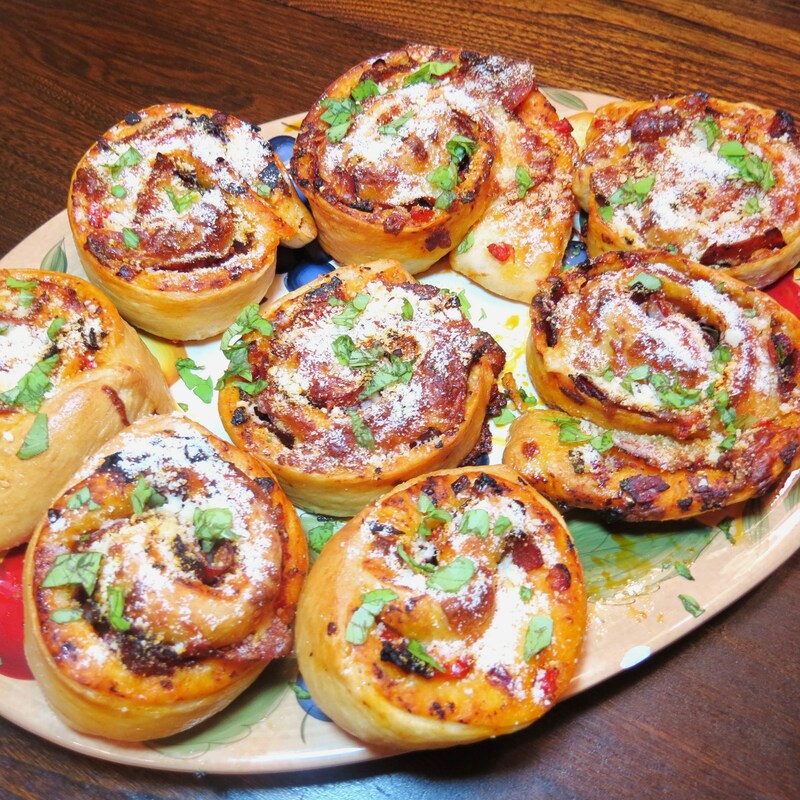 Cinnamon rolls translated into a pizza version. Innovative and delicious. I like this and it looks like a cinnamon roll pizza ha ha! Yumm Cecile! your pictures and steps are very nice and they are beautiful!! I am sure they would be quite yummy so I am pinning them!! I have 6 still at home so yes gone in seconds dear!